33 Stores That Allow You To Shop With Your Pooch! These places are where you shop! Let us know if you know of some more! Author Justamis2015Posted on January 31, 2016 February 28, 2016 Categories Animals in the NewsLeave a comment on 33 Stores That Allow You To Shop With Your Pooch! A science teacher showed a video to his 5th grade class at the Au Gres-Sims Elementary School in Arenac County, Michigan. The video shows baby pigs “being slammed to the floor, cut and beaten at a slaughter house.” Jeffery Collier, the superintendent of the school district made the decision to suspend the teacher for six days without pay. I have been a teacher for 16 years, and unfortunately, I know what happens to teachers when they voice their opinions on controversial subjects. I feel for this teacher. I’m surprised that he did not lose his job. I can see both sides of this debate. The parents feel that it is their responsibility, and choice, whether or not to show their children something of this nature. Especially because I’m sure that this traumatized some, if not all, of the children. Children love animals and are usually taught to love and be kind to animals, and there is definitely a huge disconnect here (Read 4-H Clubs), but I believe that this was probably not the best way to teach children of that age about the very real savage and merciless way that these animals are treated. In all my research in the world of animal cruelty, of all farm animals, pigs get the worst of it. If you can handle watching this video you will see that there is a visceral intent to torture these animals and give them life threatening injuries and then leave them to die, which is the most seditious and hideous acts of violence I have ever witnessed. What they do to these animals is no different than what the Nazi’s did to the Jews, gypsies and anyone they deemed, not only unworthy of living, but so vile that they needed to put these innocent souls through as much torture as they could and they enjoyed every minute of witnessing their suffering. It is frightening to think that there are people among us that are committing these atrocities, legally! Whereas most factory farm animals suffer just as much, but not in such a violent way. They suffer terribly for their entire lives by being cramped into living conditions that are unthinkable and torturous, which is bad enough. However, with baby pigs these people pick them up and drop-kick them as if they were footballs. Worse than that, they spike them into the ground as if they were footballs. I have a video, which is posted below, of a disgusting man, with a cigarette hanging out of his mouth, who is gathering up baby pigs at one of Tyson’s pig gestation plants. One little piglet starts to wander away. He grabs the piglet up by his hind legs, slams him up against the wall and drops him on the cold cement. If the baby pig wasn’t dead, he would be left there to die in misery while you can hear the distressed mother screaming for her babies. There are many other unthinkable acts of animal cruelty in the undercover video, shot by a brave soul from the Humane Society. Can you imagine what these people would do if they caught the agent filming them? I shudder to think. These people are crazy and sadistic. That was the first film I saw of this nature. I sat in front of my computer as stunned as that poor little piglet. All I could do was weep for two hours and I’m trying to hold back the tears as I write this. As I said, what this teacher did was wrong and the parents were correct in feeling that he had no right to subject their fifth grade children to this horror. However, I have to ask, when is the right time? When is the correct time for children to learn about this? I believe that many people refuse to see the truth because they know that after witnessing these atrocities, they will no longer be able to stomach, literally, eating meat. In fact Megyn Kelly, of Fox News, admitted feeling this way on her show. She said, “I love my steak too much.” I believe this is not only wrong, it is immoral. This teacher has been with the district for 20 years. I know that he knew that this would happen. I know he put his job and career on the line for a cause that he believed in. In my eyes he is a hero. What he wanted to achieve was for these children to see the truth and become vegetarians, whether their parents wanted them to or not. And he, like so many other crusaders for animal rights, wanted to bring more attention to the ugly truth. He accomplished both ends. Not all, but I would put money on some of those children never eating bacon or pork chops again. And there will be a backlash because of this. Six days without pay is just the beginning of this teacher’s problems. I’m sure he is aware of this as well. There will be one lawsuit after another claiming that their children are mentally scared for life. They probably are. They should be. But so is everyone else that has the guts to look at the truth. And so am I and I wouldn’t have any other way. My questions are always: Is the taste of meat so important to you that you will condone this unthinkable cruelty? Do you understand that these are sentient beings that are no different than your dog or cat or horse and the only difference is that these animals have not been given the chance to interact with people? Do you understand that they enjoy being petted and loved and enjoy laying in the sun, just like a dog or cat or horse. Do you understand that they love and protect their young, just like people do? Do you understand that they feel pain and suffering just like you do? If you can answer these questions honestly, you might see things in a different light. Arl Solomon, of Mercy for Animals,where I found this story, posed this question, “If parents believe watching a video of pork production is too upsetting for children, how can they let their kids eat pork products? If Au Gres Schools is serving bacon or offering pepperoni pizza at lunch, it should definitely rethink the menu,” which is a fair question and rebuttal. If you haven’t seen what happens to precious baby pigs, you should watch it. Thank you, Fox News, for running this story. The photo of cows peacefully grazing is an ideal life that only a small population of farm animals are lucky enough to have. It is the exception. The lives of today’s farm animals are tragic and the way they are slaughtered is cruel and inhumane. The worldwide excessive and growing demand has put these innocent animals at the mercy of big business and ever increasing demand pushing production and profit. This situation is not only causing billions of living things, things that have a face and a heart, just as you do, just as your pets do, to suffer everyday of their lives. If that is not a concern of yours, it is also threatening the environment. 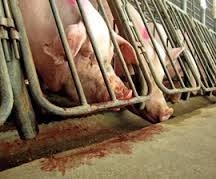 Most farm animals, billions of them, are raised on factory farms, which means that there are as many of them that “farmers” can possibly fit in a dirt enclosure. They are fed grain, which may contain hormones, antibiotics and meat byproducts, as opposed to a being in a natural grazing environment. These factory farmed animals are carrying more diseases than grazing animals. The diseases are harmful and can be deadly to humans. Also, factory farmed animals are creating more GHGs (greenhouse gases), than animals living in a natural grazing environment. The aforementioned facts above may not be common knowledge, however, the numbers of meat recalls due to infected meat in recent years, is common knowledge. The amount of recalls will only increase as factory farms do, which provides a glaring indicator of the never ending population growth, which is the bigger problem. The ASPCA has released an eye opening press release that explains in detail why this is happening and what we, as a society, can do about this growing health, animal welfare and environmental problem. There are many “so called” certifications that are stamped or written on meat, eggs and dairy products that appeal to buyers such as “range free,” “humane,”” hormone free,” and “all natural,” which mean nothing in terms of animal welfare and are not regulated and certified by any governing body that comprehensibly takes into account animal welfare. However, there are three certifying bodies that do take into account the welfare of farm animals and they are very strict on who receives their certifications. They are listed below along with their links. I encourage you to look further into what these organizations do and how you can help to bring about positive change and put an end end to factory farming. In this guide you will be able to see exactly what certain labels mean and not what they imply. You, as a consumer, have the right to find out exactly what conditions under which farm animals are raised and slaughtered. The ASPCA has provided a letter of disclosure that you can present to management where you purchase meat and dairy products. Here is the link to the page where you can access the letter. That the producer meets our standards and applies them to animals from birth through slaughter. Animals have ample space, shelter and gentle handling to limit stress. Ample fresh water and a healthy diet of quality feed, without added antibiotics or hormones. Cages, crates and tie stalls are among the forbidden practices, and animals must be free to do what comes naturally. For example, chickens are able to flap their wings and dust bathe, and pigs have the space to move around and root. Producers must comply with food safety and environmental regulations. Processors must comply with the American Meat Institute Standards (AMI), a higher standard for slaughtering farm animals than the federal Humane Slaughter Act. View HFAC’s Fact Sheets for consumers!
. The Fact Sheets provide information about specific humane issues as they relate to farm animals covered by the Certified Humane® program. The Fact Sheets provide information about specific humane issues as they relate to farm animals covered by the Certified Humane® program. Meet Humane Farm Animal Care, Inc. 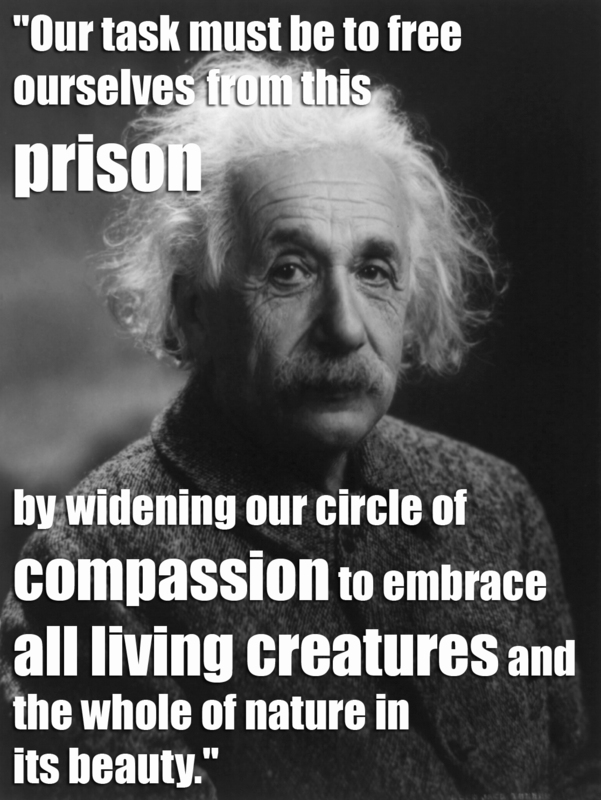 Animal Care Standards were created by a highly respected scientific committee. The standards are upheld through annual inspections conducted by scientists and veterinarians who are experts on the species they are inspecting. These are independent inspections of all farms, ranches and slaughter facilities. Animal Welfare Approved (AWA) is a food label for meat and dairy products that come from farm animals raised to the highest animal welfare and environmental standards. The program was founded in 2006 as a market-based solution to the growing consumer demand for meat, eggs and dairy products from animals treated with high welfare and managed with the environment in mind. As a program accredited to ISO guideline 17065, you can trust in the AWA label while making food choices when you can’t visit the farm yourself. AWA audits, certifies and supports independent family farmers raising their animals according to the highest animal welfare standards, outdoors on pasture or range. Called a “badge of honor for farmers” and the “gold standard,” AWA has come to be the most highly regarded food label when it comes to animal welfare, pasture-based farming, and sustainability. We set Standards or rules that farmers must follow before they can sell their meat, eggs and dairy products using the AWA logo. Our standards have been developed in collaboration with scientists, veterinarians, researchers, and farmers across the globe to maximize practicable, high-welfare farm management. farm animal welfare through the 5-Step® Animal Welfare Rating Program. We facilitate continuous improvement in farm animal agriculture across the USA, Canada, and Australia through our 5-Step animal welfare standards and third-party certification. Global Animal Partnership is committed to recognizing farmers and ranchers that exceed industry standards and strive to continuously improve animal welfare. We work to empower consumers so they can make informed purchasing decisions. When Pigs Can Fly Has Arrived! 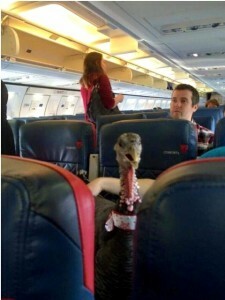 I couldn’t pass up sharing this story about a turkey that was permitted to fly on a Delta flight because he had all the documentation which certified him as a companion pet who provided a calming affect for the passenger. He even had his own seat! I think it’s great! As I was reading I thought, I’m going to head to a psychologist and tell the doctor that I must have my dog with me or I’ll die of fright on the plane! No, I wouldn’t do that. Actually, as I read on, the article addresses that notion and airlines are already gearing up for the fight. The reason why people will try and get their pet on board by feigning that they will flip out without them is because of the ridiculous amounts the airlines charge to bring a pet along with you in the cabin. No conscientious pet owner would put their animal in the baggage compartment, even if they have made sure that it isn’t minus 30 in there. You still never know. So we have to make a choice: leave them home (kennel, pet sitter, house sitter), and with that comes an expense and lots of worry. Or, put them in the baggage compartment, which is not an option. Or pay for, what works out to be as much another passenger ticket. So maybe they should think about being a bit more reasonable on the pet fare. The first airline to become more pet friendly is the one that I will use, even if I am not bringing a pet. Author Justamis2015Posted on January 14, 2016 February 3, 2016 Categories Animals in the NewsLeave a comment on When Pigs Can Fly Has Arrived!